Andrea Elliott has worked at Summit Orthopedics alongside Dr. Michael Goldsmith since 2005, specializing in spine surgery. 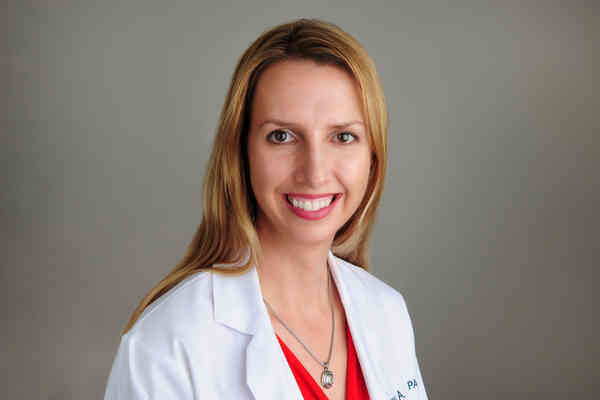 She is originally from Minnesota, has an extensive background in the medical field, and earned her graduate degree as a Physician Assistant at The George Washington University. Andrea works in both the clinical setting, seeing patients in the office and hospital, and serves as first assistant in surgery with Dr. Goldsmith. Her specialties include diagnosing and treating musculoskeletal problems, especially spine-related conditions. When Andrea is not at work, she spends her time raising two boys and enjoys biking, running, fishing and golf. University of Wisconsin; Madison, W.I. George Washington University; Washington, D.C.